List of Recruiters / Companies Visited for 2018 - 19 Click Here.. The Career Development Cell provides value addition round the clock, besides rigorous academic sessions through Industrial Visits, Guest Lectures, Seminars, and Conferences. Extensive Industry Interface and Knowledge Management activities develop the required skill sets and industriousness. This has led to National and Multinational organizations selecting Suryadatta students through Campus Recruitment Programs. The career development cell is driven by students and placement coordinator. Suryadatta Alumni regularly meet and also accelerate the placement process. Students get the placements based on their academics, communication skills, presentation skills & performance in selection process. 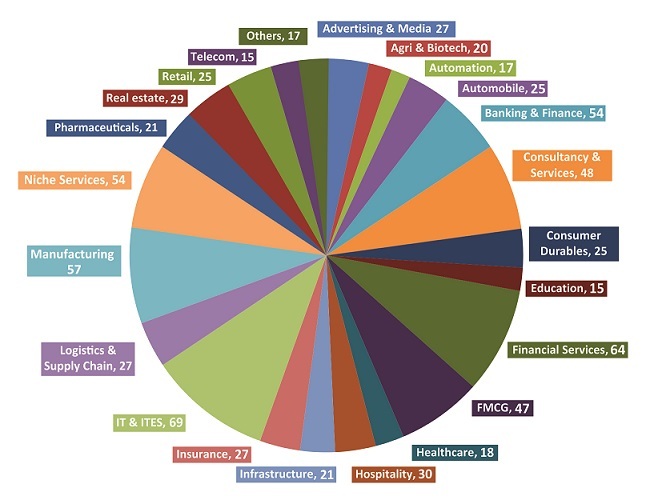 The Institute’s robust placement cell has over the years expanded its network among corporates and is leveraged to achieve nearly 100% placements of its students. Students regularly participate in campus drives or joint campus drives conducted at neutral places or at respective company campuses. Students are given a chance to attend the Pre-Placement Talk with the Company Officials beforehand so that they can understand the profiles being offered better and clarify their doubts. In order to groom our students to be corporate ready, the placement cell provides in-house training programs which are designed to sharpen basic business acumen and improve general knowledge. The Institute ensures skill enhancement and employability for the students through its unique programs delivered by highly experienced Academicians and Industry resource persons. These inputs have helped to improve the placement record and the pay package over the years. Placement Team sends placement brochure by email/post to various corporates. Placement brochure briefs about the Institute and profile of the final year students, eligible for placements. Students interested for campus placements are asked to submit their CV to the placement committee. These are forwarded to companies as per their requirement. On receipt of students’ profiles, companies communicate with the Placement Committee for the selection process and the interview dates. The recruitment team visits the campus on the decided date and time and conducts its recruitment process, which usually is a written test followed by technical &/ or personal interview. The placement cell is actively involved in helping the students to work as interns in companies and start-ups. Students are required to undertake an Industry Internship project in order to correlate the theory that they have learnt to what is being followed in the real life corporate world. The summer internship programme encourages students to undertake research-based / On the job projects for aperiod of 8 weeks, in order to gain practical experience. Based on their performance, a few companies offer jobs as pre placement offers and an opportunity to work with them after completion of course. Placements: October to March of every year. Internship: June – July of every year. Suryadatta has over 55000 Students and Alumni network from all parts of India and from 40+ Foreign Nations. Some Alumni have started their own venture after passing out from the Institute. Some Alumni have traveled abroad for further education. 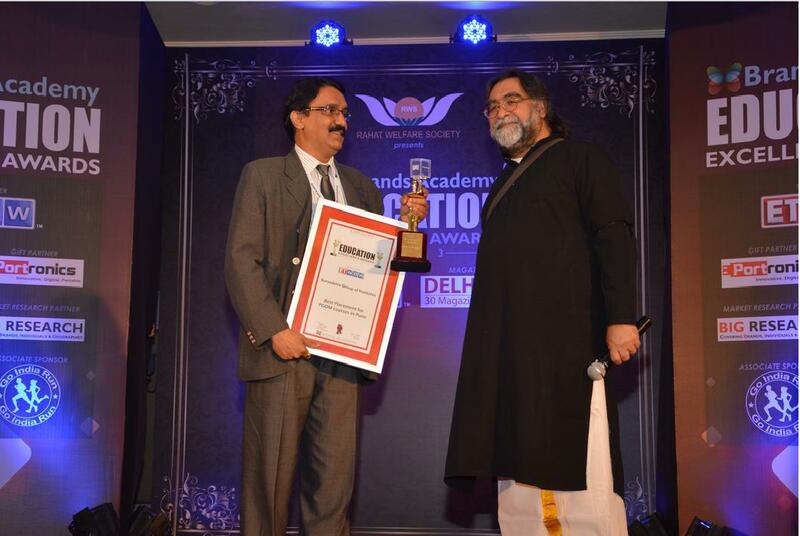 Big Research - Brands academy, has awarded Suryadatta Institute of Management as “Best Placement for PGDM Courses in Pune” at the hands of Hon’ble Shri Pralhad Kakkar, Advertising n Brand Guru. Extensive Industry Interface and Knowledge Management activities develop the required skill sets and industriousness. This has led to National and Multinational organizations selecting Suryadatta students through Campus Recruitment Programs. Auto Steel & Rubber (I) Pvt. Ltd.
Azure Knowledge Co. Pvt. Ltd.
Aviva Life Insurance Co. Ltd.
C. G. Corel Logic Systems Ltd.
Ekbote Logs & Lumbers Pvt. Ltd.
Fire Solutions India Pvt. Ltd.
Glaxo Smith Kline Pharmaceuticals Ltd.
Hol Info Solutions Pvt. Ltd.
Iqara Telecom India Pvt. Ltd.
JWC Logistics Park Pvt. Ltd.
Kohil Export India Pvt. Ltd.
Lexi Pens (I) Pvt. Ltd.
Murugan Magazine Distributors Pvt. Ltd.
Neel Beverages Pvt. Ltd . Planet M Retail (I) Ltd.
Religare Marketing Services Pvt. Ltd.
Safal Foods Products Pvt. Ltd.
Samruddha Jeevan Foods India Ltd.
Shree Laxminarayan Co-op. Soc. Ltd.
Tata Martrade Intl. Logistics Ltd. Tier Soles India Pvt. Ltd.
Toro Green Tech Pvt. Ltd.
ZF Steering India Pvt. Ltd.
Blue Star Agro & Winery India Pvt. Ltd.